The Cherabella collection by ChloBo celebrates warmth, femininity and positive energy with a peach and silver colour palette. The collection incorporates chakras and harmonious symbols from the natural world. 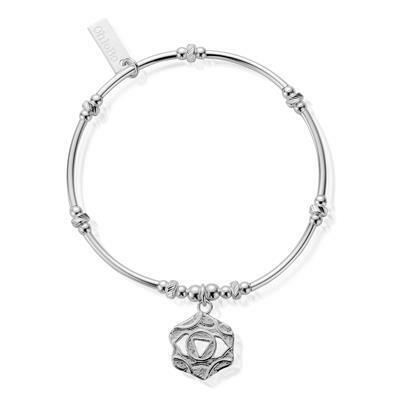 This Sterling Silver bracelet features the third eye chakra, which promotes intuition, inspiration and perception.